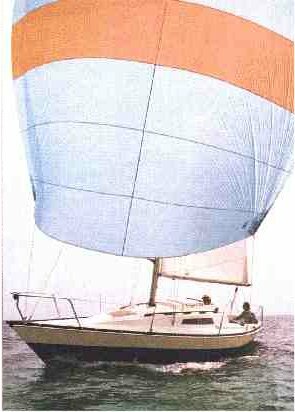 Prototype built for the 1/4 ton World Championships at Deauville in 1975 ('Fred Junior'. 3 others, also of wood, ended up competing the following year.). Around 180 Trapper 300''s of two interior versions were constructed, many being completed from kits. A considerable portion of these were sold in Poland, but some also went to USA and Hong Kong. Keels were originally available in lead or cast iron, the majority being the cast iron version. A number were later modified with a bulb on the bottom of the keel. Many different engines were fitted, although the most common, fitted by Trapper Yachts, was the Yanmar YSE8.